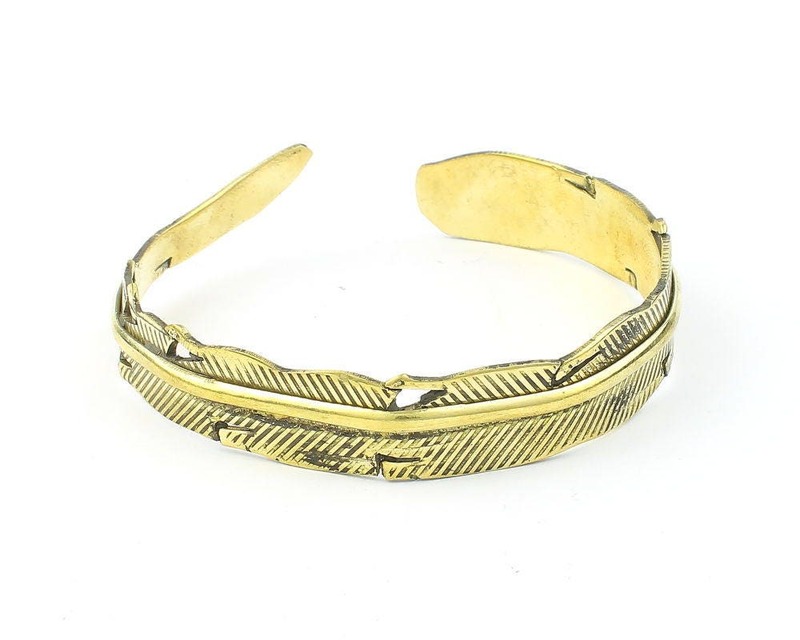 Wide wrap around feather bracelet. Beautiful patina finish accents the lovely detail of the feather. Strong design made of solid brass.